The Canadian Taxpayers Federation is sounding the alarm on so-called "transitional assistance" for B.C. MLAs, a day after the province's Speaker hinted that the payments might have been abused. 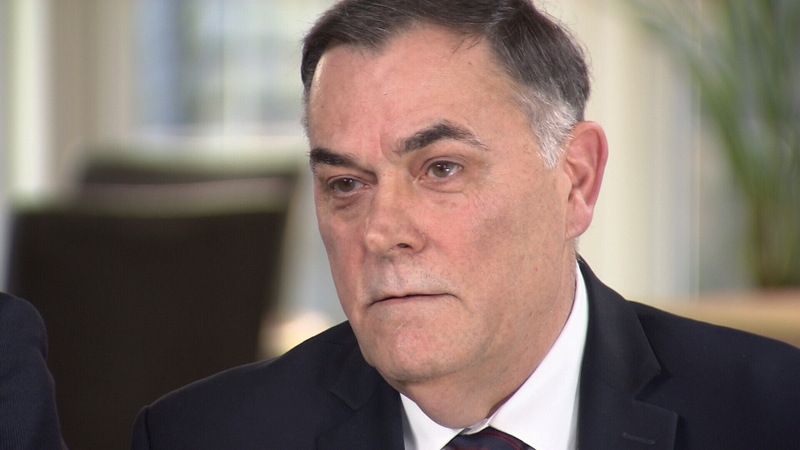 "We have had people come forward who've expressed concerns about that," Darryl Plecas said when asked whether he thought anyone took transition allowances they weren't entitled to during a sit-down interview with CTV News. Transition allowances are payments that automatically kick in when an MLA is out of a job, whether they've lost an election or have decided to leave office. Those receiving the payments are automatically eligible for four months' worth of basic salary – that's just over $9,000 per month. The payments continue for 15 months or until the former MLA finds a new job that pays more – whichever comes first. In other words, the total compensation available is more than $135,000, and the rules say it's up to the person receiving the money to report their new income and notify the legislature clerk. But the tax watchdog is raising concerns about this system of self-reporting and questioning why the payments should be automatic. "Why would it hurt to make them actually apply for it and go through the process?" said Kris Sims, the federation's director in B.C. In 2013, when Christy Clark lost her seat in the legislature, she started receiving transition payments even though she was still premier. Clark later paid the money back. The federation is also questioning the length of the allowances. "Fifteen months sounds like a long, long time for transition payments," Sims said. "Perhaps we could cut it in half. Perhaps we could move it to seven months." Current rules also allow former MLAs to bill up to $9,000 for career counselling, education and training costs. Ultimately, the rules say, "the Speaker has discretion over the appropriateness of the charges" and that "it is advisable to consult with the clerk." But that system raises the tricky question of who has oversight; MLAs' salaries are publicly disclosed online, but transition payments are not. "That's our money. We deserve to know," Sims said. The clerk's office didn't respond to CTV News' multiple requests for the total dollar paid in allowance after the last provincial election. Green Party Leader Andrew Weaver said he's not aware of anyone who abused the system, but that if they did, they should be held accountable. Darryl Plecas speaks to CTV News in an exclusive sit-down interview.